Peter Pfau has an easy charm and an unpretentious manner that can be rare to find in his chosen profession. 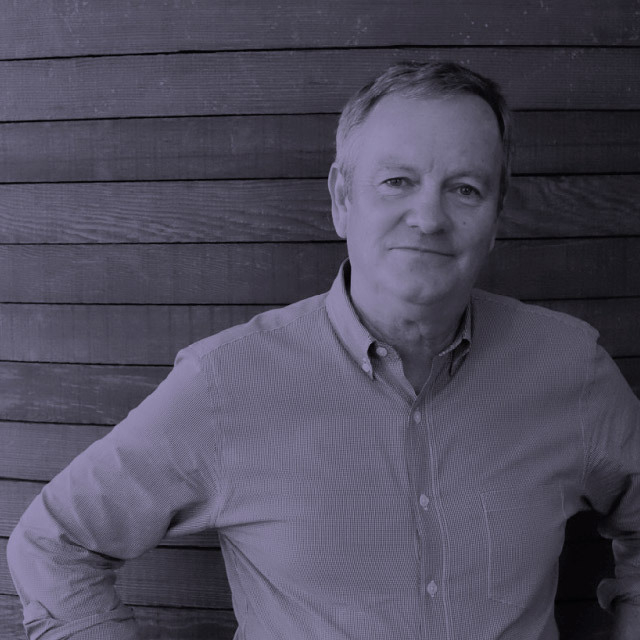 His relaxed nature is reflected in the South Park located offices of architects and designers that make up Pfau Long Architecture and continues through into the buildings themselves. Yet the humble manner works alongside a strong ambition. 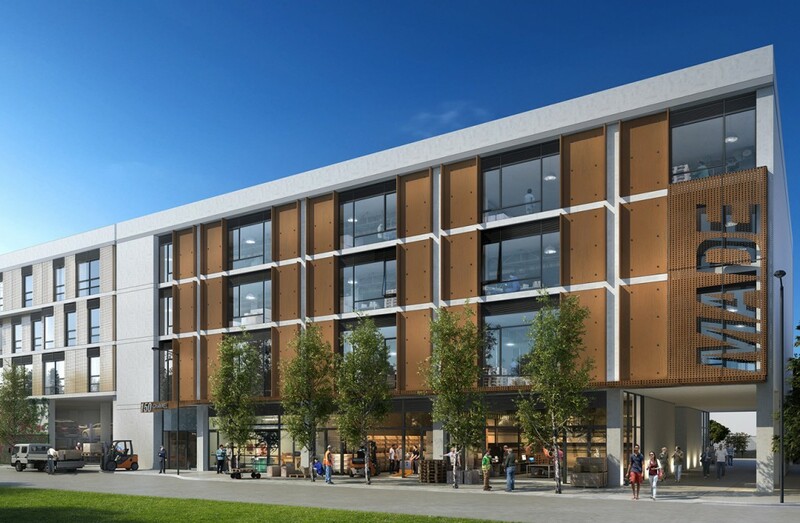 His latest project, about to break ground next to CCA’s San Francisco campus, is the 430,000 sq ft Hundred Hooper, a mixed use PDR (Production, Distribution and Repair) building. Pfau’s office is easily laid out and accommodates some 30 professionals busy at the day’s task when we came to visit. His corner office is actually a corner of a large open plan room, yet another tell of a practice that eschews formalities in the pursuit of something more profound. 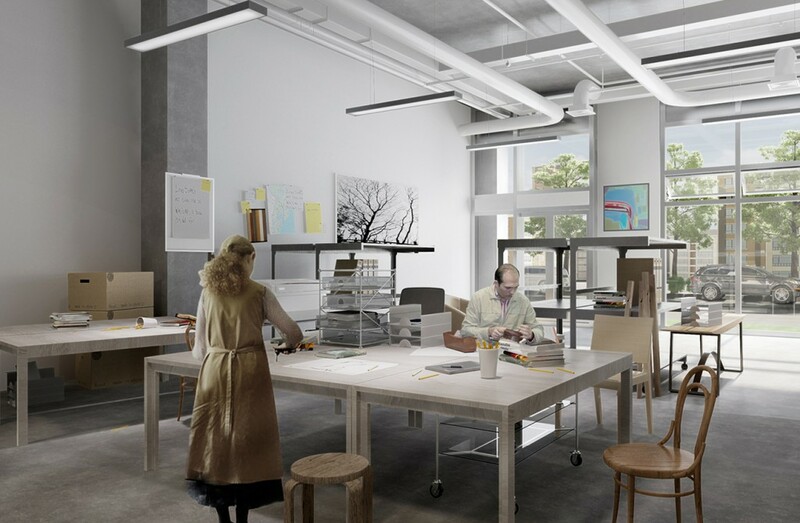 One of the cornerstones of Pfau’s practice is, in essence, making buildings for humans. He is most concerned with how architecture can help support people living and, ideally, thriving in cities. 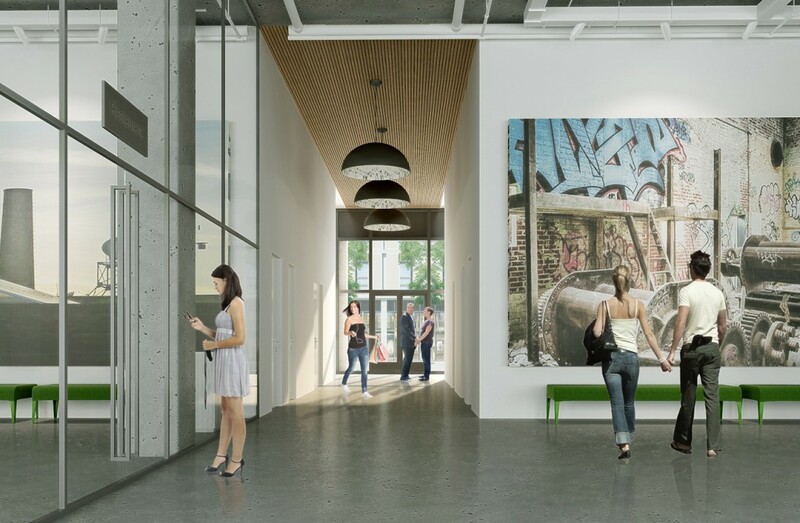 Hundred Hopper, as its been coined, is a LEED certified building and will expand the potency of this growing design community where Portrero and SOMA intersect. The aspiration of Hundred Hooper is to bring together technology and manufacturing, art and design and become a center for innovation. We sat down with Peter Pfau as he explained his inspirations for 100 Hooper. We’re working on a very interesting project on Hooper St, a PDR site that we’ve been working on for almost five years. Can you explain what PDR means? PDR is a name that the planning department came up with. It stands for production, distribution and repair. Basically what it means in today’s world is maker’s spaces. What we’re doing is actually creating this kind of ecosystem of maker’s spaces and creative office that’s synergistically related to CCA. There’s also a relationship with SF Made. 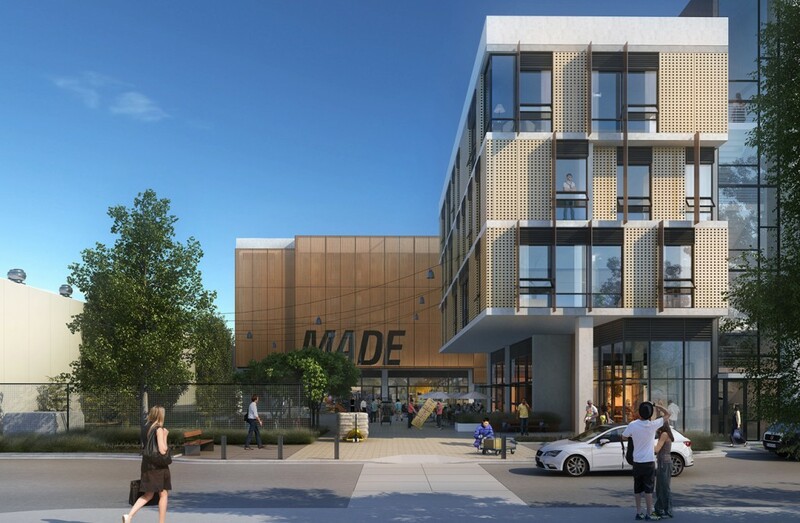 They have started a nonprofit and are in an agreement with the developer to get a piece of the land to create a four story little incubator building that will be controlled by Place-Made. It’s a place to start maker businesses, whether they be furniture design, industrial design, clothing/ fashion accessory design. How is the PDR component of the project made affordable to makers with small businesses? I think that’s the whole PDR dilemma. That’s the model where you try to subsidize PDR with the office building because there’s plenty of demand for the office building. The city was looking at ways of what percentage of office is reasonable to mix with PDR. On its own, you couldn’t deliver PDR because the rents were too low. This is a way where we’re trying to figure out a model where there’s a social justice component where you can basically use the hot part of the market to subsidize that which is being displaced. It’s an experiment, so to speak. Tell me a little bit about how your team works. How many people are working? We’ve got about 28 people here. As I described it, we’re a small office by intent, and we want to stay small. That has to do with just being close to the work. Rather than growing, we just want to get better at doing what we do and do good projects. That’s really our goal: a sustainable model. Most business models are based on endless growth whereas ours is based on good product and the quality of life of those who are producing that product. We’re very collaborative. We expect everyone to do everything, from meeting with clients to managing consultants to dealing with agencies to being in the field and helping get stuff built. We value a well-rounded person who’s as passionate about the conceptual basis as they are about how it’s actually built. The social aspect reminds me of Richard Rogers in the UK or Samuel Mockbee’s Rural Studio. Mockbee has a strong moral dimension, which I think we do too. There’s a moral dimension where every project we do is as green as we can make it because that’s just how you should do things from our point of view. Is that becoming more and more challenging in an urban environment where capital seems to be the only metric? No, what’s interesting is in the urban environment of San Francisco we have very capital driven developers and they want the greenest building we can deliver. You’d be surprised. Ten years ago we had to drag all our clients kicking and screaming to do green buildings. Now our clients are pushing us to go greener. The client at Hooper, Kilroy, looked at our green strategy which was pretty green and said, “Well, let’s put a farm on the roof.” They’re taking us greener because they’re ambitious. They see the value of green building and leaving a legacy of buildings that are contributing. 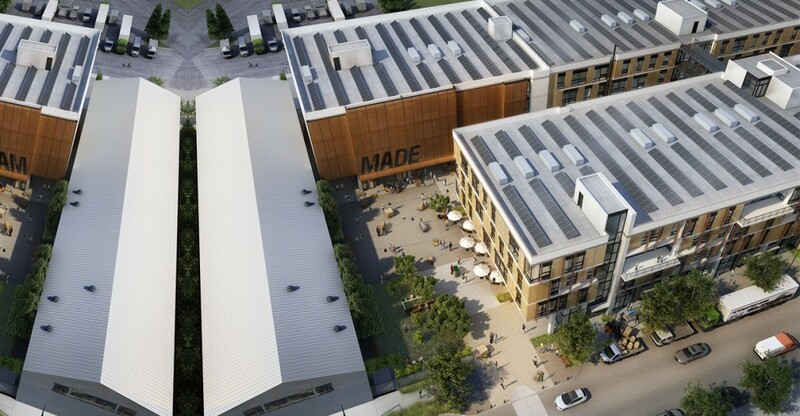 I think that’s a huge sea change that the marketplace recognizes, the value of green building. We’re doing a house now that is a Living Building Challenge house. You’ve probably heard of LEED certification for buildings which is the green measurement that most people are using. There’s a group out of Seattle who said, “They’ve got it all wrong. They’re not valuing the right things in the right way. We’re going to create our own.” It’s a much greener standard. There’s a deeper level of consideration of the chain of custody of every material on the house. Things like no combustion because that contributes to greenhouse gas. What’s that system of metrics called? It’s called the Living Building Challenge. Basically those of us who are passionate about green building, that’s the next level of making a greener building and having a metric for measuring that. It’s very much in the process of being created. How much do you think that your making experiences has affected your interest in this? I think it did immensely. As an architect my career has always been mechano-fetishistic, is what I would call it. I love what we call the WYSIWYG of things. What you see is what you get. How to find the expressive quality of things in their real form rather than hide them behind walls. There’s the classic, I think it was Craig Hodgetts who wrote an article about the Ferrari versus the Moon Lander. I don’t know if you’ve ever read that? No, I don’t know who he is. Actually it’s the hot rod versus the Ferrari is the name of the article. It’s talking about the difference between European design, which would be exemplified in the Ferrari, and American design which would be exemplified in the Lunar Lander. The Ferrari is very sleek. It has a lot of industrial mystique. You don’t really know how it works, but it has expressive, fluid dynamic qualities. Whereas the Lunar Lander looks like someone duck-taped it together in their garage. A hot rod has bigger wheels in the back where the force is transferred and smaller wheels in the front where steering occurs. There’s an expressive quality to its directness. The Lunar Lander is that. Everything is what it is. How does each project differ for you? You don’t seem to have a house style, which I hope you can see is a compliment. Well, each project develops a language of its own which has an ability to communicate. That’s part of what makes a project readable without someone standing next to it explaining it. Each project develops its own language in a way. We become the shepherds of that language. An industrial project like this might be very different from a Living Building Challenge project because they may have different tectonics. They may have different structural expressions. They may have different ways that things are put together. All of those are mined for creating a common language which is experientially readable by a visitor. To me, I’ve always rebelled against the house style phenomenon where everything looks like a different version of the other. I guess it’s less interesting to us. I like to go to each project with an open mind and listen to what it has to say to you. Then out of that begin to understand what it might be as a building is much more interesting than taking some set of solutions and jamming it over the problem. To me that’s what’s fascinating about a discipline like ours where there’s so many different stakeholders and rules and regulations. If you go with an openness to tease all that stuff out and put it on the table in front of you and see what it begins to suggest. Then the project really grows out of that. It could be site. It could be program. It could be personality. It could be ideas about energy. It could be ideas about learning. All those things are inherent fodder for building solutions. To me if our buildings looked the same, I would be depressed by that. I just love the process of figuring stuff out that I have no idea what its going to be. The process of explanation. Probably the thing that I love about it most is that as we go into any different project, there are so many things to learn. There’s a process of learning through making. That means that I’m learning about the thing. If I’m working on a maker building, I may be learning about the maker world. You sound like a craftsman. We’re doing a school now where they’ve asked us to reinvent the classroom. We’ve been trying to reinvent the classroom and learn new ways to think about how you would think about the learning environment. What do you think is going to happen to SoMa in the next ten years? SoMa going to change, but I think what’s interesting … There was an article recently about San Francisco’s expansion were we were mentioned. I think there’s a level of enlightenment, I would call it, about moving the city forward. It’s not painless because basically if you look at a city like San Francisco, and you think about the future, you realize, wow, this city needs to densify. Because people need to be proximate to resources. When you think about, okay, how is San Francisco going to to serve X number of more people? I don’t know how many more people are going to live here. The answer is that it needs to densify, and it needs to densify around transit. 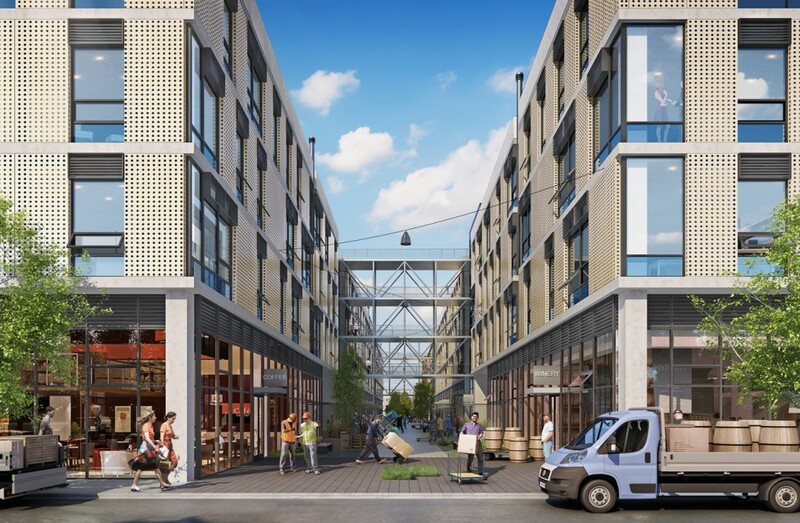 There are places like Dogpatch, like Soma, where they’re developing the Fourth Street light rail line, underground rail, and connecting that to the multimodal thing. Connecting that to Chinatown. Eventually it’s going to have to densify around transit. 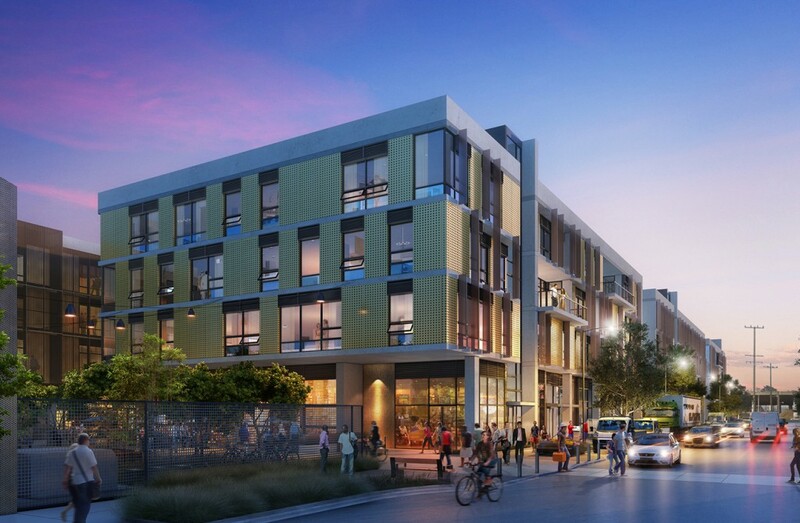 SoMa has something called the Central SoMa Plan that’s looking at how to do that. The emphasis is really about thinking about growth in a way that creates what I would call a pedestrian-centric environment. I think that you’ll see that a lot of the streets becoming smaller and more pedestrian and more bicycle oriented. The paradigm of the automobile will shift. It’s driven by the economics of SoMa changing. The Central SoMa Plan and other plans that are really envisioning a denser, more pedestrian, more transit driven city. It’s hard when you go into neighborhood where they’ve had one story buildings forever. Suddenly we’re going to do a five story building. What’s interesting is you go to our hearing. A bunch of people stand up and say, “Yeah, we need to densify, and we need to have more housing, and we need to have more transit, and we need less parking so people don’t drive everywhere.” Then a bunch of people get up and say, “Well, where am I going to park my truck? I hate the tall building.” That kind of thing. I think it’s a natural growing pain. Cities are a naturally sustainable organism if they’re well considered. The challenge is to create policies and implement policies to ease that gradual transition. I think there’s enough. There’s political will, and there’s economic drivers. If there are no economic drivers nothing happens. The bad news is that economic factors and things are changing and a lot of people don’t like that. The good news is that they’re probably good things because they are drivers for densifying the city and creating a more livable city where you can walk and live in proximity. The probablem is between here and there is always a little painful for people who are participating. There’s a lot of democracy in the process in California … In New York, we just got stuff done. In California, we have to have a lot of community process. It’s not China. You can’t just come and displace. 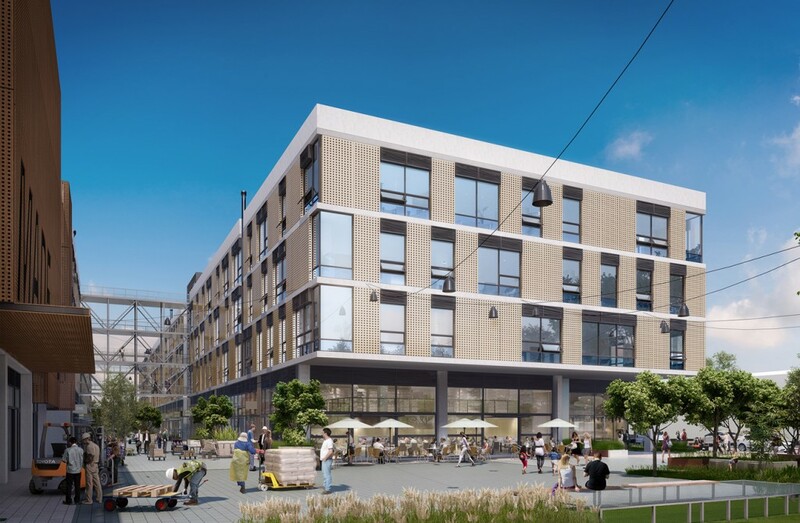 The idea that you could take south of Market and make it a mix of residential and work environments that are intertwined with an ecosystem or retail that serves both. Create a 24 hour environment. Make a street level experience that’s as good if not better than it is now, with a network of public spaces. It seems to be the one place that’s got the most opportunity of achieving exactly what you’re talking about. There’s precedent as well. Yeah. I mean, South Park is the precedent. I think the model we all think about is how do we make a network of these meaningfully, human scale environments as we create more density. In a way, it’s okay if there’s more density as long as the quality of the street environment and the quality of the type of experiential city we create is good. I think it’s going to be interesting to watch south of Market change. You know the debate is always;,,,, well. what about the “less skilled” architects? What happens when they do parts of it? Yeah, those parts will be not as good. Hopefully overall, if you really focus on space making and the experiential qualities, it will be a better place to live anyway.